You’ve been coaxing him in now with the squalls of a dying rabbit. Sitting patiently and waiting, watching as that crafty coyote carefully works his way in. Cautiously he continues towards you until…he presents that perfect 100 yard broad side shot. He stands still for only a moment. You know the shot must come quickly, and cleanly for an ethical kill. But where do you hold for that to happen on a coyote? 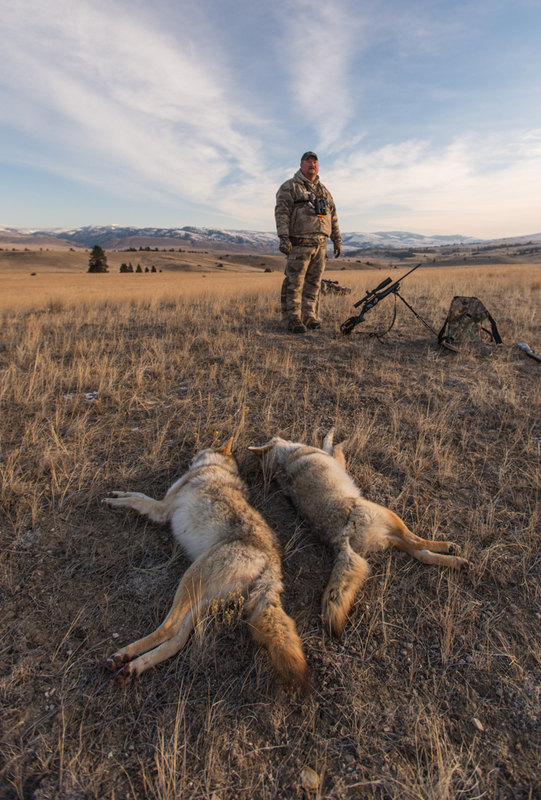 Most coyote hunters in the world grew up with some sort of big game hunting in their lives. As little children we watched and waited for our turn. We learned a lot as we watched Dads and relatives with there big game success, dreaming of our chance to prove ourselves. We all couldn’t wait for the seasons to start. Through all of this, we largely received our knowledge of hunting from parents and good friends. How to move on a stalk, how to pick our spot, the weapon we choose, clothing, boots, bows, and ammo. One of the big items we learn about is the “Ethical Kill Shot”. All responsible Sportsman strive for the quick, clean, ethical kill shot. Some of us play scenarios in our minds to practice the when and where of shot placement. Most likely, we all have a memory or two of the first time our Dad, or maybe a Hunter’s Safety instructor, showed us a picture of a big game animal and said…”Okay, now where do you shoot this animal for an ethical shot?” Most of us grew up being taught that the “Sweet Spot” was right behind that front shoulder. Or, as my Dad always said, “Right in the boiler factory”. This holds true for most any big game animal. But, does it hold true when you’re after a coyote? Placing a shot behind the shoulder on a coyote will result in a kill shot. However, because of the anatomy of a coyote, it will most likely produce a liver shot. This is an effective kill shot, but it can take the animal a little while to expire. Coyotes differ a little from some big game animals in how they are built. The heart sits further forward in the chest cavity in a coyote than it does in most big game animals. 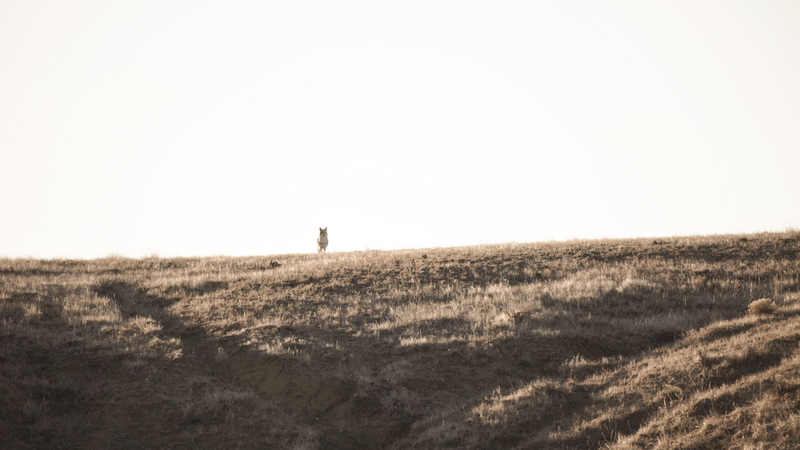 As a result, the best place for a clean kill shot on a coyote is right through the front shoulder. 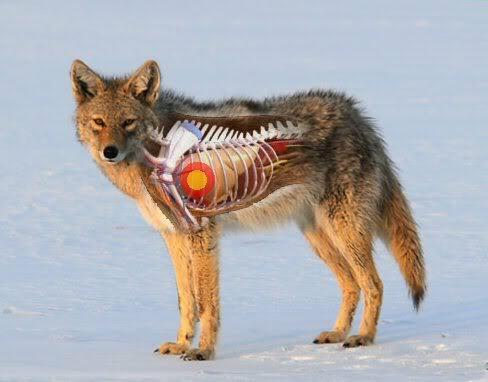 The heart and lungs are tucked in right behind the shoulder joint on a coyote. Placing the shot through the shoulder joint provides a quick clean kill. If you’re not sure, follow the front leg up to center mass on the coyote. This will put you on target. This shot also provides a fur friendly situation. I prefer a hollow point or polymer tip bullet when hunting predators. This shoulder shot typically results in a small entry hole with no exit. The bullet penetrating the shoulder bones expands rapidly and most often destroys the heart and lungs resulting in a quick death. Certainly this depends on the rifle and round you are shooting. Common calibers for coyotes such as .204, .223, .22­250 and .243 with lighter bullets ranging from 30 grains to 60 grains should suffice. Nothing is ever perfect, and exits can still produce large holes in hides when they occur. 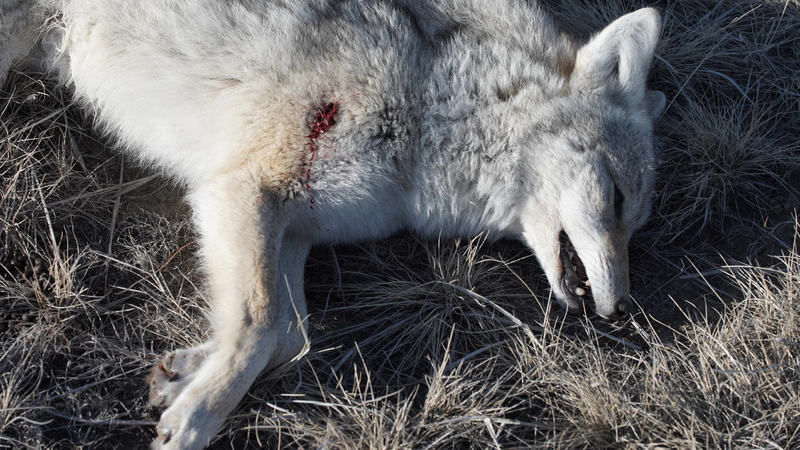 But when a good clean kill is what you’re after with an ethical shot on a coyote, consider the shoulder the next time you have one in your sights broadside.